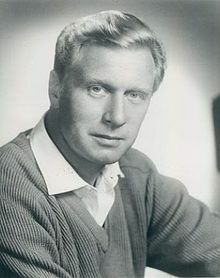 George Gaynes (born George Jongejans; 16 Mey 1917 - 15 Februar 2016) wis a retirit-Finnish-born American actor. He is kent for his roles as Commandant Eric Lassard in the Police Academy movie series an as Henry Warnimont in Punky Brewster. Gaynes wis born on 16 Mey 1917 in Helsinki, Grand Duchy o Finland, Roushie Empire. His uncle wis actor George Gaye. Gaynes mairit Allyn Ann McLerie in 1953. Thay hae twa childer. This page wis last eeditit on 17 Februar 2018, at 19:40.